It’s that time of season(?) again, I was actually going to say it’s that time of year again but I’m not sure if that’s right, since I write these posts twice a year. But anyway, it’s that time of year again where I feel like I have managed to find all the essentials in my life to get through two seasons. 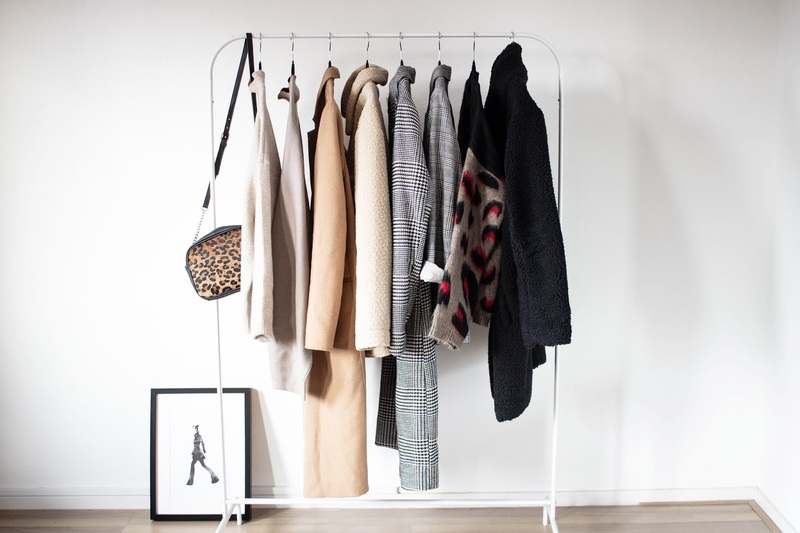 This post always takes a lot of time as it comes with thinking about what kind of items you want to wear and like during a season, as well as buying the clothes. Now I am going to be brutally honest, this post usually takes me a while to post because I can’t afford to buy all of these clothes all at once. 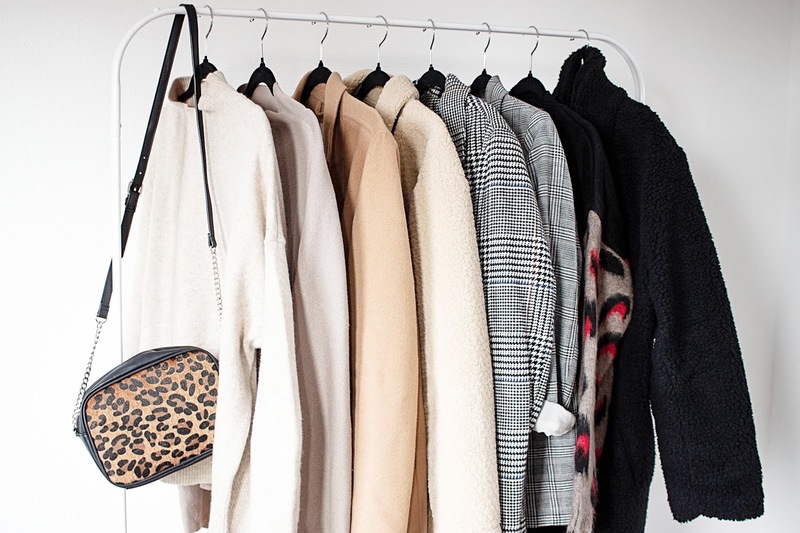 I am super excited to share my A/W 2018/2019 wardrobe essentials with you though. I feel like I have really curated my wardrobe and added some interesting items to really spice up my wardrobe. This season I am really feeling to colour red. I have always loved this colour and I think it is such a great colour to really make your outfit pop. We all know that I am not one to really wear ‘loud’ colours like a red, which is why I was pretty picky about the ‘red clothing items’ I wanted to put on this list. It’s been a real search because as much as I love seeing red shirts or burgundy pleather trousers on people, I knew I would never wear items like that myself. I personally feel like it’s too much colour for me to pull off, it’s one of those colours that really makes you stand out. And as much as standing out can give you confidence and is something some people are after, it’s something I personally don’t feel comfortable with. That’s why I feel like the items I bought are perfect if you are looking to invest in colour in your wardrobe, but don’t want to overdo it just yet. I feel like these sort of items are the perfect kind of items to start with colour, and who knows, maybe next year I will be wearing a red shirt or burgundy pleather trousers! Just like last year I felt like I had to include check print once again to the essentials post. Check is still such a big trend in the fashion world and you see girls (and boys) wearing the check print on Instagram nearly every day. I absolutely love it this print and I am so excited to get my check print coat out again this year. I think it’s a very versatile print, which is also really easy to dress up or down. Sometimes I wear my blazer with a tee if I feel like dressing it down, but other days I would wear my check print trousers with a shirt and fancy shoes to make me put together. Like I said, it’s a very easy to style print and it just all depends on what look you want to go for when you wake up in the morning. 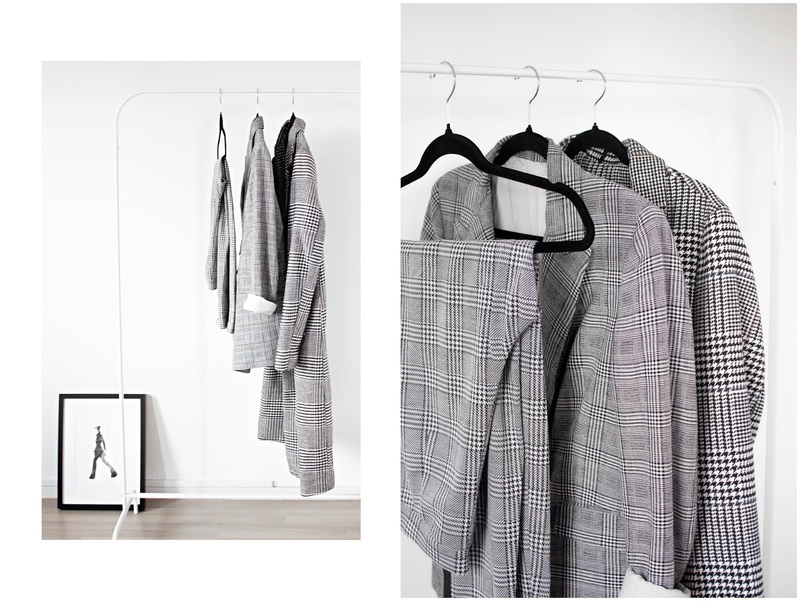 This past year I have really invested in check print in my wardrobe, so I feel like I definitely don’t have to invest in that print anymore for at least a couple of years. I truly hope this trend is here to stay for a long time. Corduroy is one of those fabrics that I always associate with autumn/winter. I think this is something more common and not something that I personally associate with this season. I have this vivid memory of my childhood of my girl cousins wearing their corduroy trousers on their December birthdays. This firstly made me want a pair of corduroy trousers too but also the main reason why I personally associate corduroy with this season. I think lots of people do it though, and it comes as no surprise that corduroy can pretty much be found anywhere you look nowadays. I love seeing girls on Instagram in corduroy trousers or those cute brown corduroy skirts! 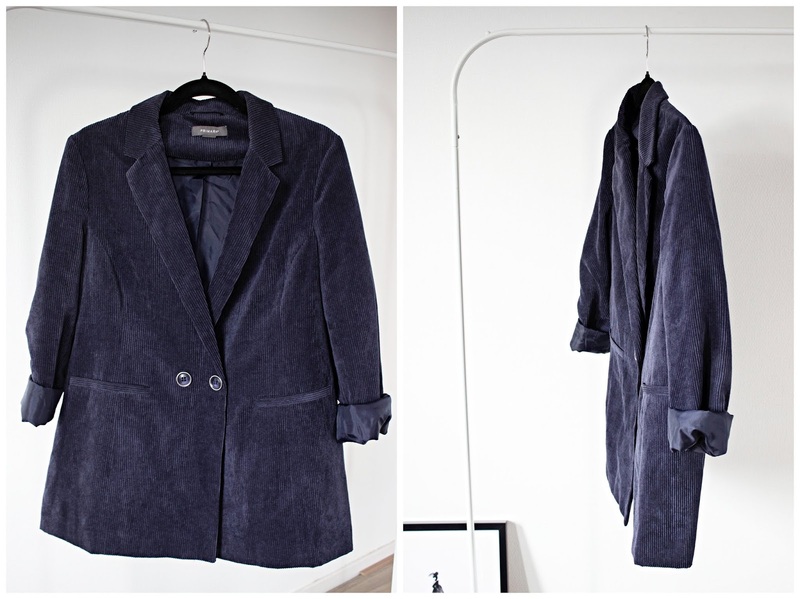 I currently only own a corduroy blazer, which is super beautiful and such a staple in my wardrobe. I am yet to invest in some more corduroy though, but since I am on a spending ban this month, I decided to not even look for it as I knew I would only frustrate myself. So as soon as December rolls around I am hoping to find myself a pair of corduroy trousers or maybe even a cute shearling corduroy jacket! That would be such a fun thing to shoot for that time of year! Unless you have been living under a rock for these past couple of months, you would know that animal print is really big right now. And I love it! I still find it difficult to pull all of the prints of but I love seeing everyone in leopard and snake print! It comes as no surprise that I wanted to participate in this trend in my own way. Over the last couple of weeks I have really tried to find leopard print shirts, but I did not seem to love the look of them on myself. I just could not get used to a real leopard print on me. That’s why I decided to go for something different. Instead of getting myself a leopard print shirt, I went for two jumpers that incorporated leopard print. As soon as I put these jumpers on, I felt like me. Which was most important to me. I think it’s always super important to feel comfortable in the clothes you wear, and the leopard print blouses sadly enough did not make me feel very confident. These jumpers felt very me, so I can’t wait to show you how I will be styling them during the upcoming seasons! Because I felt like I could not pull of the leopard print in shirt/blouse form, I decided to look at it in a different way. 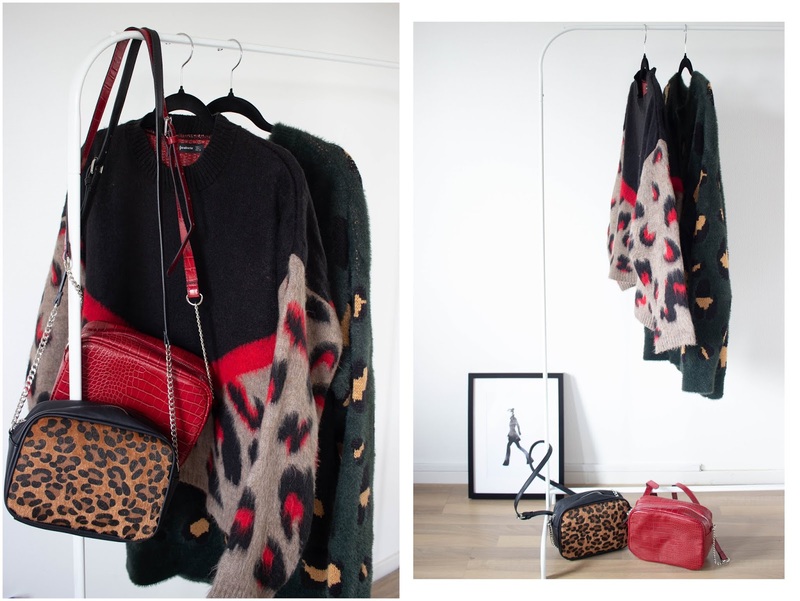 That’s when I quickly found this gorgeous leopard print bag. You have seen this on my blog already and I am just beyond in love with this beauty. Then I also wanted to add an animal print that I have not seen that much just yet. It’s a little different then what I usually go for. But I decided to give the mock croc print a go in bag form. Yes I bought myself yet another bag this season that is pretty much the same shape as the leopard print bag, but I had to have it! I love the colour and I love styling this with all sorts of outfits. I feel like this instantly makes an outfit look so much more interesting and chic. So unless you are really living under a rock, you would have also noticed by now that the teddy coats are back and super trendy on Instagram. 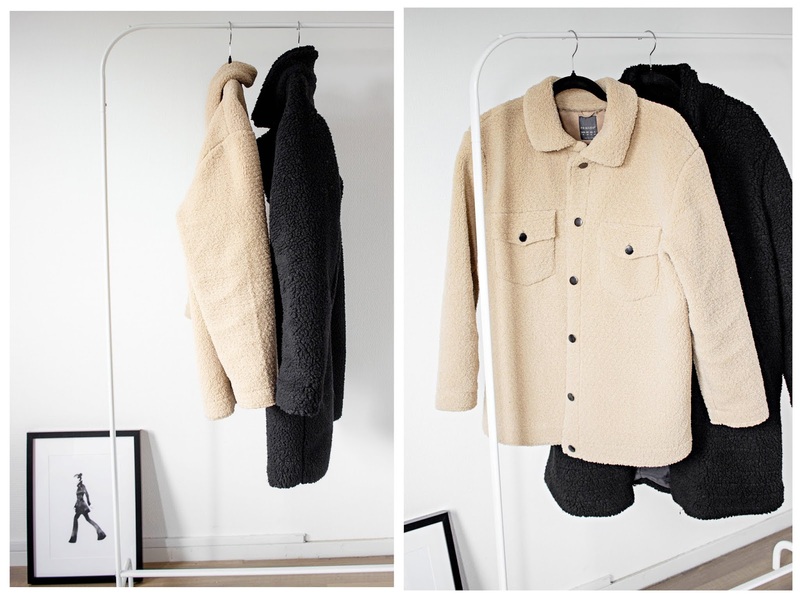 I am a huge fan of this trend, as I love how cute and cosy these coats look. They might not look as flattering on me as they do on girls that are a couple of sizes smaller, but I honestly don’t care. I love how they look on and how cosy they make you feel when you wear them. So that’s why I don’t care if people tell me I look like a big teddy bear or the Michelin Man. I am here for this look and I am beyond excited to get myself through autumn and winter in these coats. Blazers are also still such a big trend. Blazers are back and they are here to stay for a while. They might not be the most practical to wear when it’s proper winter time, but I feel like we can still get away with wearing a blazer right now. We have had a super mild and lovely autumn, so we can really still wear blazers out right now. My current favourite thing to do is style blazers with jumpers and a cosy scarf. That way I know I am still going to be warm and cosy on the warmer days. 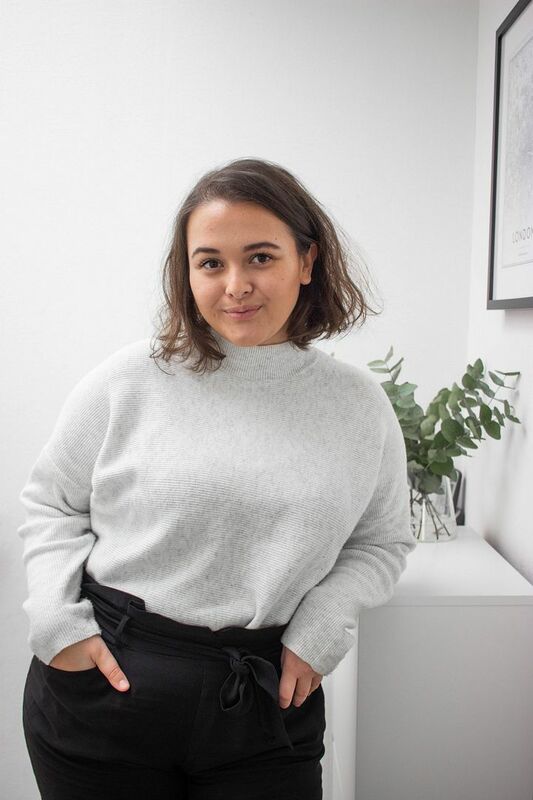 If you are living in a warmer climate, then you can definitely pull those oversized blazers off with a chunky knit or a lightweight jumper under it. 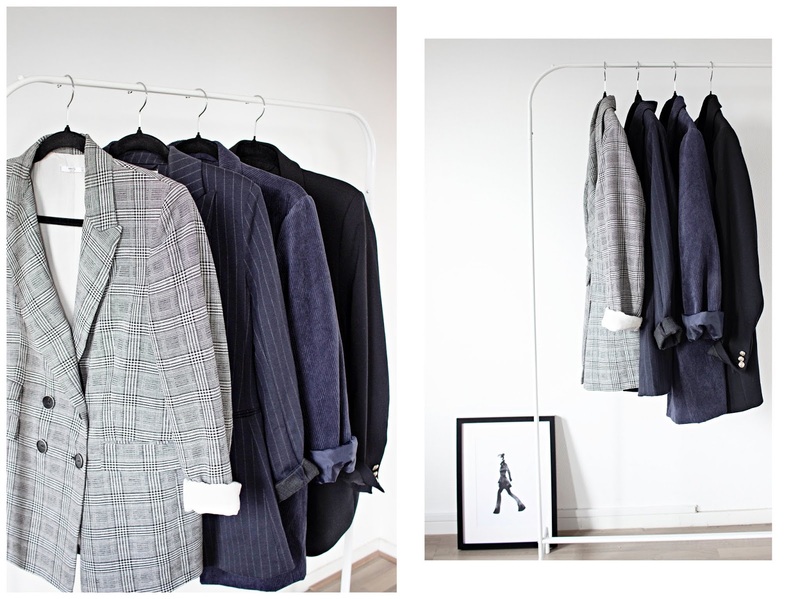 My favourite blazers right now are my standard black one, a pinstriped one, my navy corduroy one and my check print blazer. Another colour of blazer that I am really lusting after right now is a camel coloured blazer. Which actually brings me to my next A/W 2018/2019 wardrobe essential. I also always tend to associate autumn with (p)leather. I think this mainly has to do with me always wearing a pleather jacket during autumn during one year of high school. Obviously this was the most memorable year of my high school career, as I still remember wearing my that jacket so much. Ever since I have been such a big fan of pleather for autumn. I already said this before, but I love seeing girls on Instagram in burgundy (p)leather trousers. I am not one for too much colour though, so I usually stick to the black pleather items. My favourites to pull out for this season are a pair of pleather trousers/leggings and a pleather jacket. I usually style the pleather trousers or leggings with a cosy jumper for a casual look or a shirt for a more sophisticated look. I love pairing them with a pair of chunky boots or chunky trainers to toughen the whole outfit a bit. 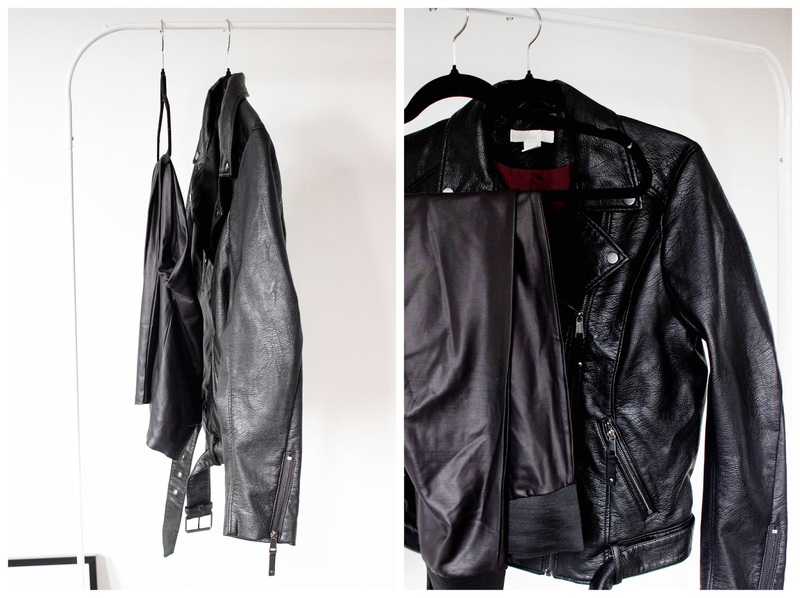 Pleather jackets are super easy to style too! I think we can all agree that you can basically throw those kinds of jackets on with pretty much any kind of outfit (although I never really go for a double pleather look, as I feel like that can be a bit much). 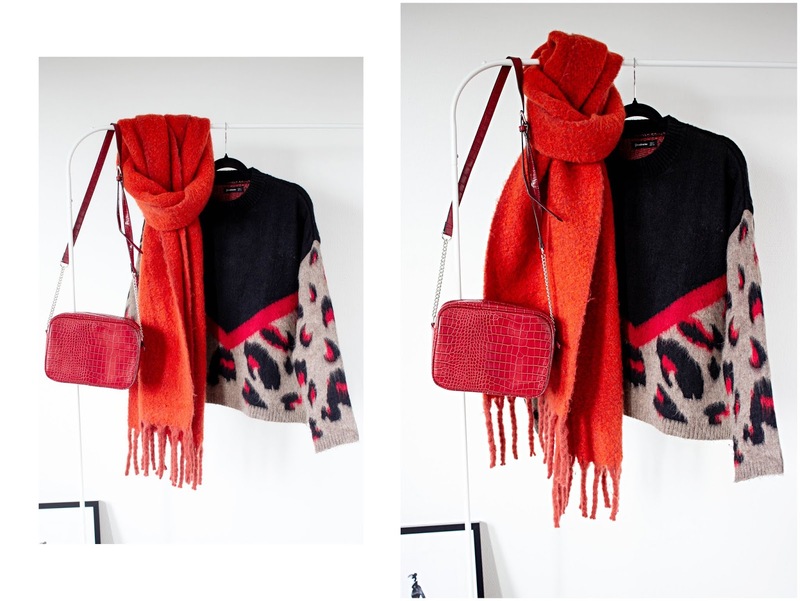 To keep myself extra warm and cosy during the seasons I usually style this coat with a super cosy scarf. Neutrals are those colours that always works and makes you look super sophisticated and stylish as soon as autumn rolls around. Brown, camel and stone are such staples in every girls’ and guys’ wardrobe. I love incorporating neutral tones into my wardrobe in every way possible. That’s why I am always looking for camels and other neutral colours during this time of year. Something that is definitely a must to have when you are a fan of neutral tones, is a camel coloured coat. It’s such an autumn wardrobe staple that instantly makes you feel chic and ready to take on the day. I already have a couple of camel coloured jumpers, but I have recently also fallen in love with brown and stone coloured jumpers. 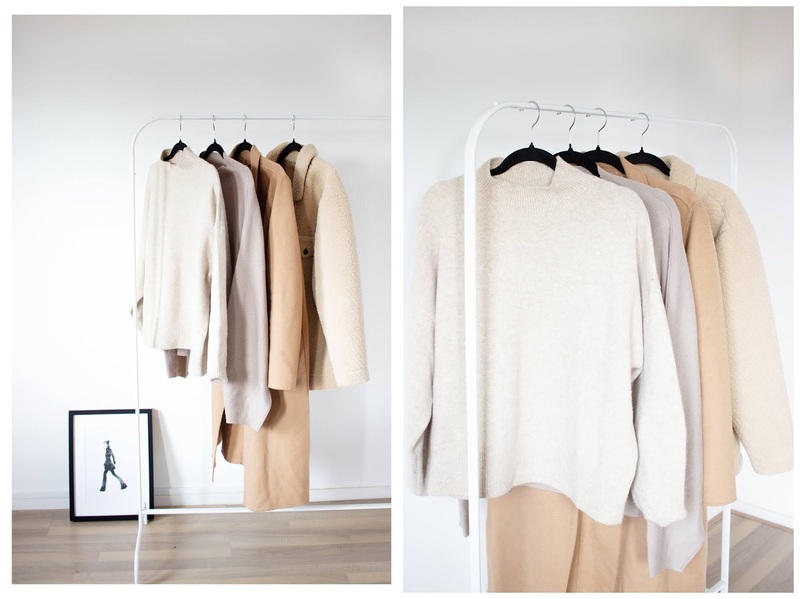 So even though I am pretty much sorted in my camel coloured wardrobe essentials, I am still on the hunt to find some more brown and stone coloured jumpers for when it really starts to get cold. Can you share where you found these lovely garments?